One of the most recognizable level accessories of all time from the Mario series by Nintendo comes to you as an adorable plush! 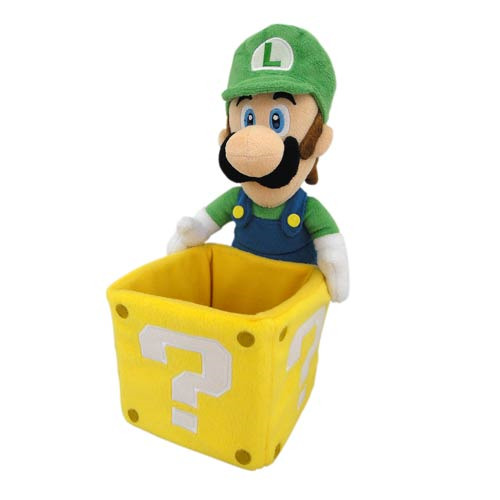 This Super Mario Bros. Luigi and Coin Box 9-Inch Plush makes for one incredibly adorable and huggably soft companion that you will not want to do without. Plush measures 9-inches tall. Ages 7 and up.